People searching for a subcompact car tend to gravitate toward these vehicles for a lot of the same things, affordability being one of the most important factors. With their small footprint and excellent fuel economy, subcompact cars are attainable for just about every budget, making them ideal for students, first-time car buyers, and others who are watching their finances. A common myth about these vehicles is that they don’t have much to offer beyond their budget-friendly price tags, easy handling, and efficiency. That may be true for some, but not for the Kia Rio. You know Kia as a value brand, and that doesn’t just mean that Kia vehicles tend to be on the lower end of the price spectrum. Value isn’t just about price – it’s about what you get for that price. And in the 2018 Kia Rio, you get plenty. We’re talking a slew of infotainment features, both standard equipment and available upgrades, with such desirable features as Apple CarPlay and Android Auto, satellite radio, and a touchscreen interface making the list of options. We’re also talking a surprisingly spacious interior for the class, and available safety features like forward collision warning and automatic emergency braking keeping everyone inside your Rio better protected on the road. It’s hard to deny the appeal of a subcompact car with such an attractive price that gives you so much for your dollar. The 2018 Kia Rio lineup includes three trims – LX, S, and EX – and you can’t go wrong with any one of them. Once you see how much you can stretch your hard-earned money without cutting corners on quality, the decision to purchase a Rio is practically a no-brainer. 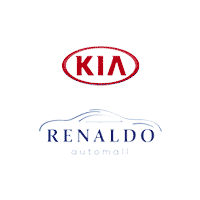 See the Rio in action in all of its incarnations when you visit Renaldo Kia, your trusted new Kia and used car dealership in Shelby, North Carolina. We have a fantastic selection and the low prices to go along with them. Combined with the inherent value of every Kia model on the market, the savings you’ll enjoy are simply astounding. Smart space solutions like 60/40-split folding rear seats maximize the usable space inside the 2018 Rio, making it possible to adjust the interior based on your cargo versus passenger needs. Seating is comfortable and you can upgrade the standard cloth seats to leather for a touch of luxury. The interior design is clean and uncluttered, and an intuitive, user-friendly infotainment interface puts all the controls at your fingertips so you can access features like Bluetooth®*, Siri Eyes Free, Apple CarPlay, and Android Auto without fumbling around for buttons and knobs. The 2018 Kia Rio is proof that a small car can make a big visual impact. The sleek and modern exterior of the Rio gives it a road presence that is bold and striking despite its subcompact body size. You can further enhance the Rio’s exterior sporty appeal by adding optional exterior accessories like sport visors, splash guards, and a hood deflector. All of the 2018 Rio trims come with a standard 1.6L inline 4-cylinder engine that gets 130 horsepower and 119 lb-ft of torque. The base model has a standard 6-speed manual transmission but can be equipped with an optional 6-speed automatic with Sportmatic, which the remaining two trims receive the latter transmission standard. Our Kia dealership is your go-to source for new Kia models and used vehicles of all kinds in the Shelby, NC, area and beyond. Renaldo Kia has all the new Kias you love, and even with their remarkably approachable price tags, we take the savings opportunities a few steps further. We combine our own deep discounts, factory incentives, special lease offers, and low-interest financing plans to ensure that the deal you get on your new or used vehicle is the absolute best it can be. Visit us today and let’s get started!